Lamps should generally do more than offer light. That’s why we have lamps such as the Yonos Smart Lamp that come rigged with features and accessories that extend beyond the usual lighting. 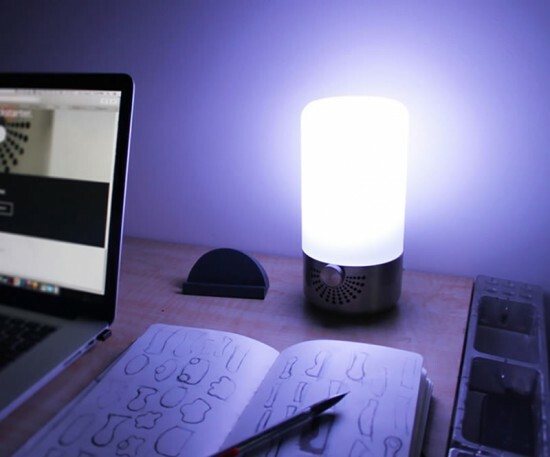 The lamp offers everything from mobile charging to some rather cool lighting settings. 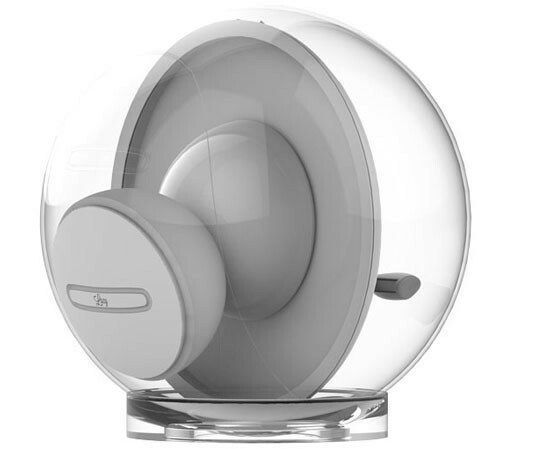 For starts, it doubles up as a Bluetooth speaker and USB charger. An app enables integration with your smartphone. 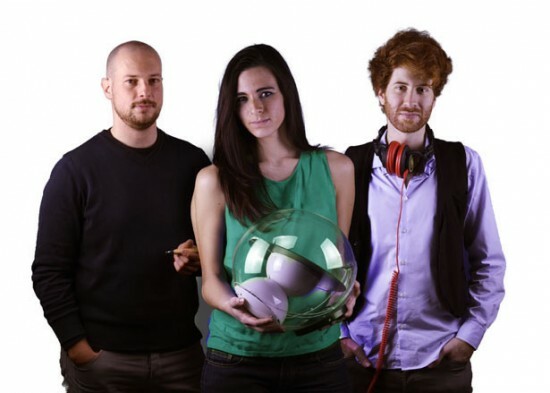 The lamp also draws radio waves to keep you entertained and also supports hands-free calling. Little did the past know about lamps that can be spoken to. 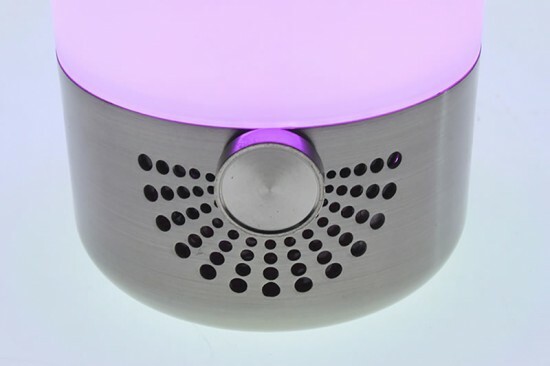 The illumination modes are a special kind of awesome and include settings such as wake-up light, natural sounds, sunset simulation, proximity sensor and social media notifications. It also offers a rotary knob for analog control. The Yonos Smart Lamp comes dressed in a minimalist drape that is a welcome sight in most modern decors. It is made of hand-blown glass and stainless steel. The lights, the hues, the functions and more help make this one a truly desirable design. There have been myths about how sunflowers follow the movement of the sun. While some agree that the leaves do portray some photosensitive functions, it is really disappointing to not have something that keeps staring at the sun. So, we can fill this gaping void with the Lucy Smart Adaptive Mirror that not only follows the sun but also reflects the light wherever you want it to be reflected. 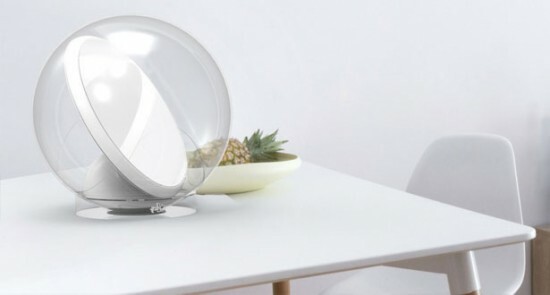 Developed by Solencia-based Diva Tommei, who suffered from Seasonal Affective Disorder while at Cambridge University, this amazing mirror can reflect sunlight at a poorly lit spot in a house or room. You can position Lucy indoors or outdoors without any installation. This is a great way to promote natural lighting and brighten up dark homes. The mirror employs a special algorithm, which is based on strategically positioned photosensors. It’s a great idea and investment to bring in to most ‘sleek’ modern spaces that rely on electricity to lighten up their interiors. There’s no better fantasy than spreading your arms and gliding across the terrain, even if it were a few feet about the ground. 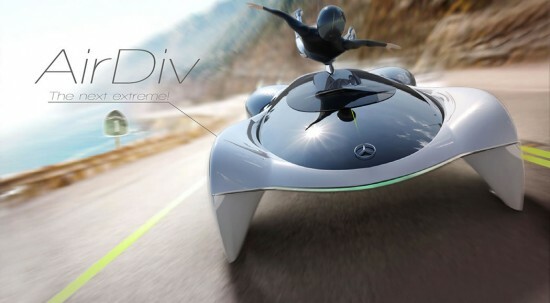 The AirDiv concept vehicle brings to life this simulation by hoisting its ride on top of the vehicle. For obvious reasons this craft can only carry one passenger at a time and treat him or her to an adrenaline-pumping experience. The driver can choose between four driving modes. The basic seating position is the toned down ride. The accelerated one needs the driver to lean forward and closer to the road. The bike mode takes it more extreme with the driver situated face down and their head facing outward. And finally, the diving mode that simulates gliding with the driver outside the cockpit and draped in a wing suit. The tires have to be changed based on the nature of the terrain. 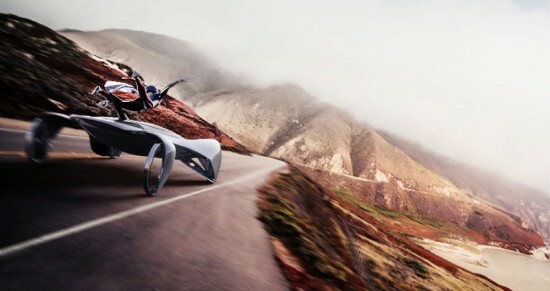 The three tires can be optimized and customized depending on what path they plan to take their vehicle through. 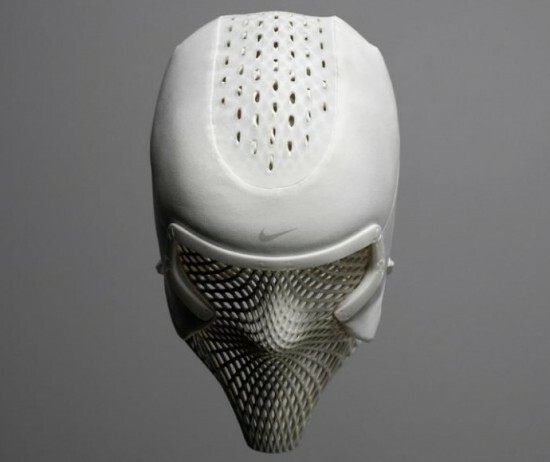 Nike, in collaboration with US Olympic Champion Ashton Eaton, have devised a cooling hood for athletes. 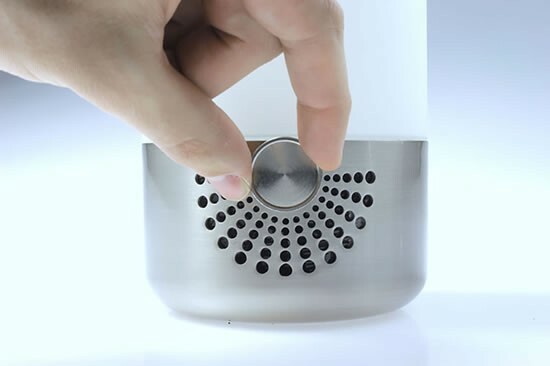 It manages to retain cool water and offers gradual cooling to the head. This can greatly contribute to quick recovery after between events and maximizing each break. Eaton wanted to achieve the same cooling on his head that he experienced on other parts of his body. Since he uses Nike’s PreCool Vest, he approached Nike’s Sports Research Lab and together they managed to roll out a prototype that simulated the feeling of pouring a bottle of water on the head. The hood covers the face, scalp and neck and resembles an ancient Spartan helmet. The inner layers effectively retain cool water and gradually cool the head. Banning cars could mean a number of adjustments and inconveniences in life, but hey, it can also strongly foster the feeling of eco-consciousness. To try out the potency of this remarkably daring move to counter pollution, Stockholm, Sweden, has joined 200 other European cities to ban cars for an entire day this fall. September 19th seems to be the date of choice. The city is well-versed with such efforts and have indulged in such experiments in the past. They banished all traffic for the European Mobility Week. Other major cities participating in the carless day parade are the capitals of Lisbon and Budapest. Malaysian illustrator, Cloakwork, has picked a peculiar subject to showcase his illustration prowess. 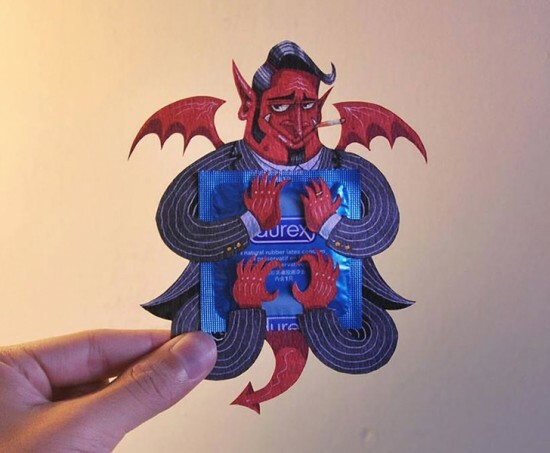 Condom packaging for Durex has just received an overhaul with some cool illustrated designs that make your condoms look like actual props in an alternate universe. There are monkeys and serpents to pick from. Most of the illustrations hint at the mood that a lover is in, whether it’s naught or a sly, seductive penchant to get things spicy and moving. You could get the monkeys in orange, banana, strawberry and other flavors. The snake hints at suffocation, King Kong represents comfort, the astronaut represents the Featherline range for super-thin touch and the executioner takes care of his clientele by adding small raise ribs that resemble a torture instrument. The 1940s saw the dawn of portable toilets that have serviced mankind unfailingly. Cassie Stepanek has however revolutionalized the design of this classic pooper by making it look a lot more 2015. With a study on the user group and application, Cassie developed the Biopod portable toilet that accommodates privacy, cleanliness, space, ventilation and grey water system into the build. In the findings, Stepanek noticed that people do not like touching anything within a toilet or even sitting on the rim. Many folk hover uncomfortably over the toilet seat. The new design structure follows a curve to make hovering less hazardous and even incorporates a female urinal. Also, you do not need to touch anything. A pedal on either side of the door opens the door when pressed. We’ve heard of train coaches that offer you the luxury of luxe cars but here’s a train that mimics one to such an extent that it even looks like one. 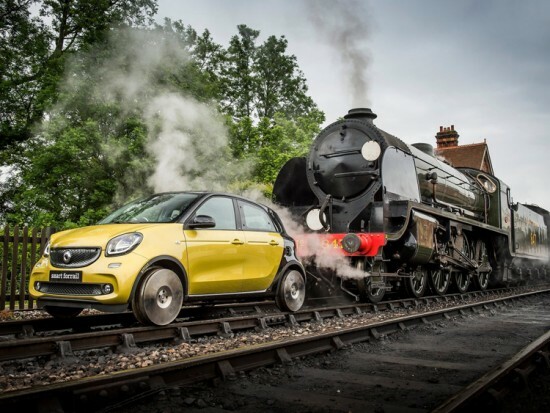 Behold the Smart Forrail mini train (yes, that’s what it is). This isn’t merely the removal of tires but six months of engineering work and sophisticated CAD modelling put into creating one amazing design. The solid steel wheels measure 22 inches in diameter and weigh 80 kilos, making it possible to sustain the traction needed to stay on the tracks. The wheels are locked in position by aluminum supports which are welded between the axles. The design and brilliance in science that the Ninebot One portrays is unparalleled. This cool electric unicycle scooter is a self-balancing one that reaches speeds of up to 18 to 22 kmph. It is swanky and doesn’t make you look like some weird nerd. In fact, it is practical to use. 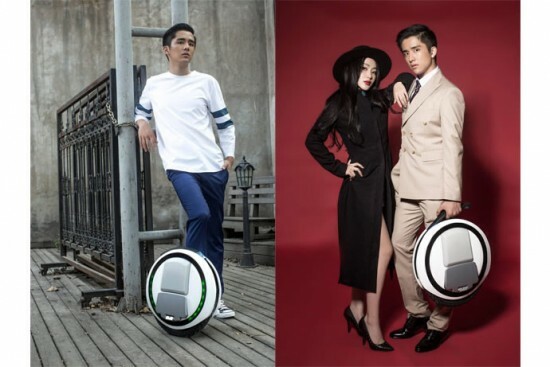 The Ninebot One can travel a cool 35 kilometers on a single charge. The uber-portable design makes it easy for you to carry it around and saves you the horror of parking in the city. It’s a great way to cut through jams since you cannot cut through traffic like the Dark Knight. An LED on the body of the bike ensures that everyone knows where you’re going. The 320Wh high-capacity battery takes 4 hours to completely charge. It’s called the MoDe:Flex and it’s here to save many a life and limb of cyclists. 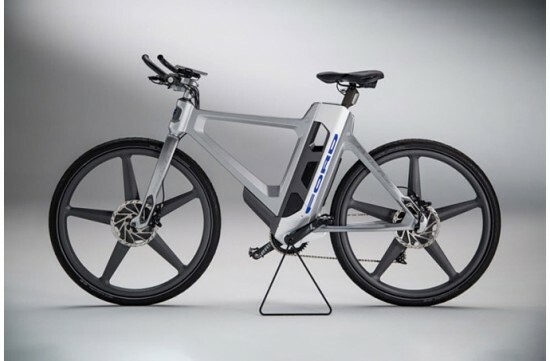 The idea behind the working of this electric-assist bicycle is that it can efficiently warn cyclists of upcoming road craters and potholes, thanks to an inbuilt vibration system. 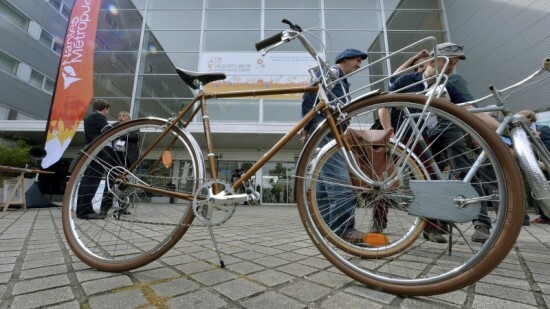 The bike works with an Apple Watch app that synchronizes with the system to alert users of oncoming bumps. The company has not elaborated on how exactly the system works. There is a chance that the system may scan the road ahead by shooting out a SONAR like beam. In addition to the safety alarm the gear also serves in providing real-time information on weather, congestion, parking costs, time, traffic and alternate public transportation.